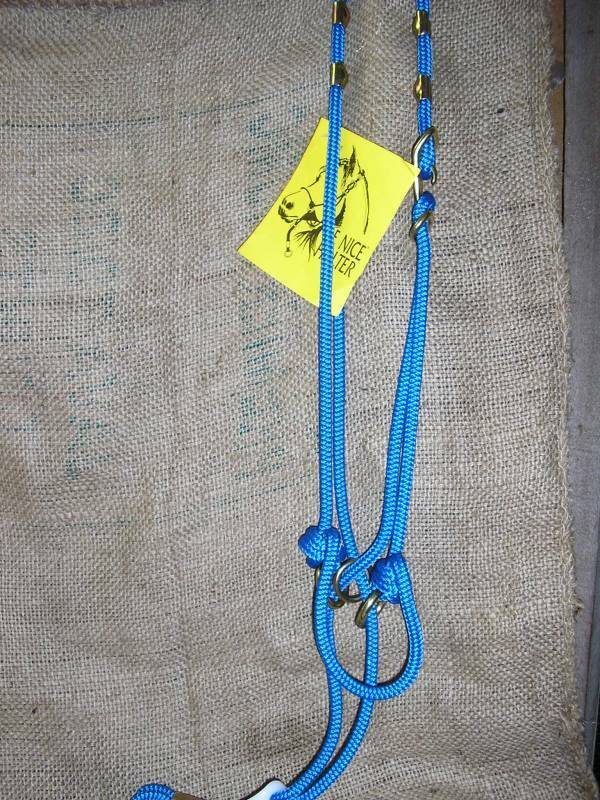 When you are handling your horse you are always in a training situation, whether using a horse -walker,lunging or leading .If you do your everyday handling with the BE-NICE HALTER, you are in better control at all times .You can correct and disipline in an instant ,so that your animal will never develop any bad habits. The halter works on the simple princible that when the horse resists,pressure is autamatically applied and when the animal begins to co-operate,the pressure is automatically released.Therefore it is not just a restraint,but a very effective training device as well.In order for the halter to work effectively,the nose band should fall an inch and a quarter below the cheek bone of the horse ,and the plastic slide should fit snugly against the horse.To find the correct size measure from the bottom of the cheek bone over the poll to the other cheek bone and add 3 inches . Click the button below to add the Be-Nice Halter to your wish list.